Sure, gamescom may have come and gone, but it’s never too late to talk about some new gaming PCs! Lenovo recently announced a trio of gaming PCs from their Lenovo Legion gaming line. Gamers should be able to find a quality machine at several different price points in order to hit the sweet spot between price and performance. Starting out with the Y520, you’re getting a more budget-friendly PC that still has power for your games in a VR-ready package. Sporting NVIDIA GeForce GTX 1060 graphics and up to a 7th gen i7-7700 CPU, you’re getting pretty good power starting at $899.99USD. The Lenovo Legion Y720 desktop ups the ante with up to 16GB of memory and GeForce GTX 1070 graphics. Starting at $999.99USD you’re still getting pretty good bang for your buck. The Lenovo Legion Y920 is the biggest and baddest in the group. Starting at $1,999.99USD you’re getting it all… GTX 1080 graphics, i7-7700K CPU, and up to 32GB of 2800Mhz CORSAIR VENGEANCE LPX overclockable DDR4 memory. You can read more about these desktops in the full press release below. 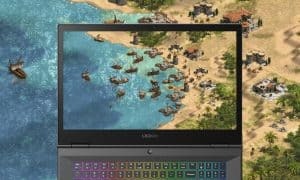 What do you think about the new Lenovo Legion series of desktops? Do any of these have what you’re looking for as your next gaming machine? Tell us all about it in the comment section below, or on Google+, Twitter, or Facebook. At gamescom 2017 we launched powerful additions to our Lenovo LegionTM family that include VR-ready Windows® 10 PCs Lenovo Legion Y920, Y720 and Y520 Towers. Combined, the three Lenovo Legion towers give PC gamers of all stripes a level of customization, power and selection that fits their needs. We heard you through direct outreach, social media and online forums. All this community feedback shaped how we developed these new additions. Time and time again, gamers told us speed and performance are #1. That’s why we built the new Lenovo Legion towers from the ground up with power and speed as totems – designed to easily run today’s best games from AAA action role playing games (RPGs) to indie platformers. We designed the VR-ready Lenovo Legion Y920 Tower for the most serious PC gamer. This fully-stacked machine runs on Windows 10 and houses up to 7th Gen Intel® CoreTM i7-7700K quad-core processors designed to run the most demanding games, from visceral first person shooters (FPS) to atmospheric space simulators at optimum, uninterrupted speeds. The tower is also powered by up to a NVIDIA® GeForce® GTX 1080 8GB graphics card, one of the leading GPUs on the market. It offers exceptional visuals to future-proof the machine to tackle the sequels of today’s chart topping titles. Better yet, the Lenovo Legion Y920 Tower has up to 32GB 2800Mhz CORSAIR® VENGEANCE® LPX overclockable DDR4 memory. The VR-ready Lenovo Legion Y720 Tower gives mainstream players reliable performance. 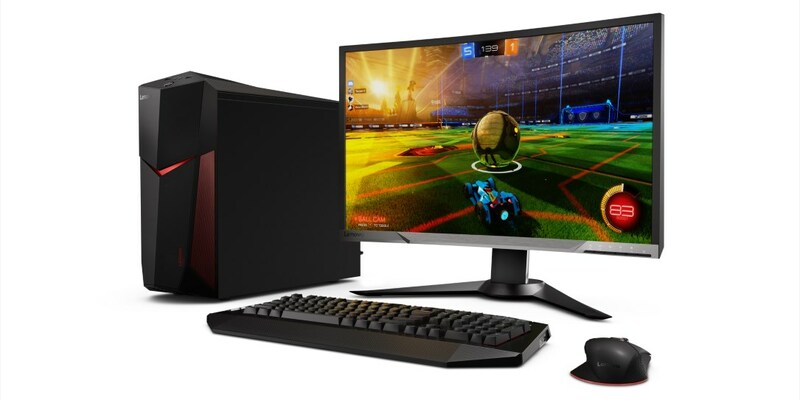 Loaded with Windows 10 and up to a 7th Gen Intel Core i7-7700 processor, optional 16GB Intel OptaneTM memory for fast system responsiveness, and up to NVIDIA GeForce GTX 1070 8GB graphics, the Lenovo Legion Y720 Tower offers the critical package of processing and graphical prowess for playing the most demanding titles. Survive battlegrounds with ease and assurance, and blast through an alien invasion without a hiccup on the Lenovo Legion Y720 Tower. The machine also upgrades easily for users who want to swap parts – making the Lenovo Legion Y520 Tower a great introduction to PC gaming. Lenovo Legion Y920 Tower with CORSAIR VENGEANCE LPX overclockable DDR4 memory will be available starting at $1,999.99 in October 2017. All products are available on www.lenovo.com.